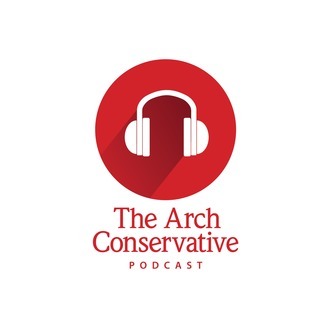 In an effort to accomplish one of the main goals of this publication since its founding in 2013, and in attempt to highlight the relevance, brilliance, and rich tradition of conservative intellectualism, THE ARCH CONSERVATIVE has begun releasing weekly podcasts. 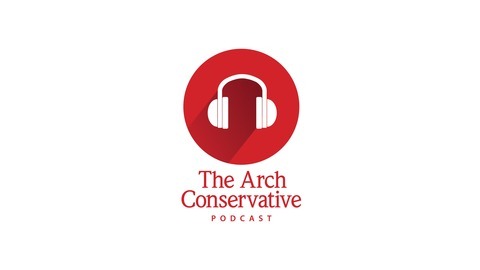 These podcasts will use the worldview of conservatism as a lens to assess, analyze, and explain a variety of issues that face the United States and the world today. Rather than simply dismissing our opponents' arguments, however, and insulating the podcasts from them, we will seek to take them head on. Some podcasts may even feature liberal guests in hopes that a civil back-and-forth will illuminate the stark distinctions between liberalism and conservatism. In this juxtaposition of philosophies, we hope to convince the listener of not only liberalism’s failures, but also of conservatism’s triumphs. Though THE ARCH CONSERVATIVE seeks to improve and widen the broadcasting of the intellectual conservative’s message to a society that subscribes almost uniformly to the principles of the Left, we will not seek to convince the listener through indoctrination, demonization, or demagoguery. Rather, we will welcome the challenging arguments and—through fruitful, comprehensive Socratic discussions—hopefully demonstrate conservatism’s superior capacity to explain history, as well as current events. Conservatism is based on thousands of years of human experience, thought, and theory. We hope to do its logical and historical validity justice so that even the most skeptical of audiences will not be able to resist the elegance of its reasoning. We will thoroughly investigate each week’s topic and present legitimate information, with our sources noted and sometimes shared in the podcast’s accompanying post. We will draw on the theories of intellectual giants such as the great Milton Friedman, F.A. Hayek, Ludwig Von Mises, Thomas Sowell, Russell Kirk, William F. Buckley Jr., and the like. Finally, we will prepare and present the content to you, the reader, in a way that elucidates the power and brilliance of conservatism, while also making sure that the discussion is entertaining, relevant, and comprehensible. We seek to arm you with arguments so that you too will be able to confidently and adequately explain the perspicacious nature of the conservative philosophy in any future political discussion. Reed and J.Thomas catch up on recent events at UGA, including the campus protest of the "Heartbeat Bill." Radio Free Athens - Where Have All the Happy Warriors Gone?